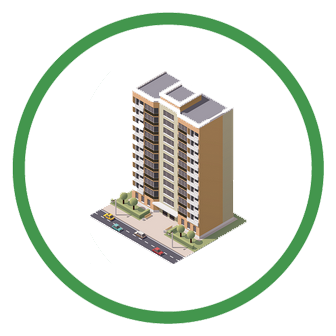 Is your building in compliance with applicable multi-family regulations? Urban Impact knows the unique communications and space issues faced by managers and stratas in multi-family buildings. We’ll help you manage garbage, recycling and organics efficiently and cost-effectively. We will help you implement best practices in serving your site tenants. We will help you find the right bins and containers, the right collection schedule and the right type of services to help you meet your goals. We set up well-labeled bins and containers that indicate the recyclable materials accepted. Pick-up schedules can be flexible depending on volume needs. Urban Impact will pick up your recycling and organics on a schedule. We'll design a flexible and customized plan. Get a personalized plan today! A waste audit can help you understand the types and volumes of waste being generated at your property. Talk to us about all of your multi-family property recycling needs.